But do you know our kiosks come in all shapes and sizes too?! 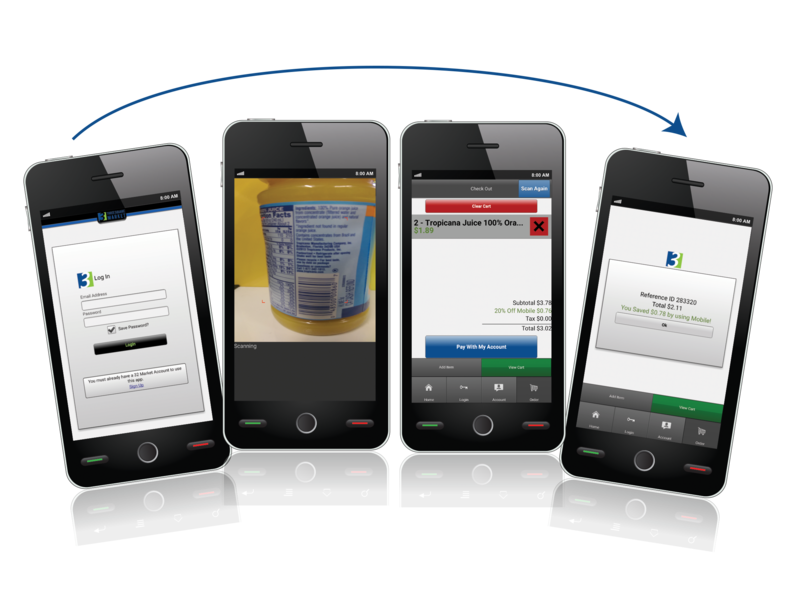 Employees will love the ease of checkout and adding money to their accounts using our simple website or even our industry best smartphone apps! Using our proprietary checkout kiosks, employees are able to check out in a matter of seconds. Long lines? No problem! Checkout is available on the 32M Smartphone application. Put an individual kiosk in every employee’s hand at no cost! 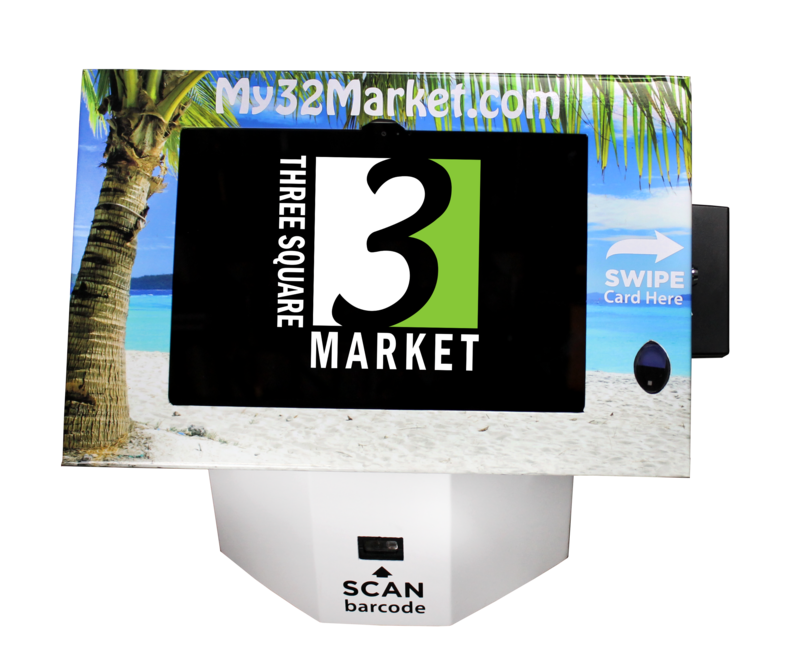 32M Software is we-based and all kiosks and market layouts come with our industry best inventory management system that ensures the shelves remain stocked and the food remains fresh. Unlike many of our competitors, our kiosk software is updated frequently via the web – giving your kiosk the latest and greatest version at all times! A kiosk in every hand! With the mobile application all smart phones have the capability of being a personal kiosk. The Tablet Kiosk is the smallest kiosk version capable of credit or market account transactions. Available in wall or table mount, perfect for smaller locations or locations in need of a second kiosk at a large location. The Junior Kiosk is a smaller version of the market kiosk that is fully cash and credit capable, available in a wall or table mount. Perfect for smaller locations that need extra space. 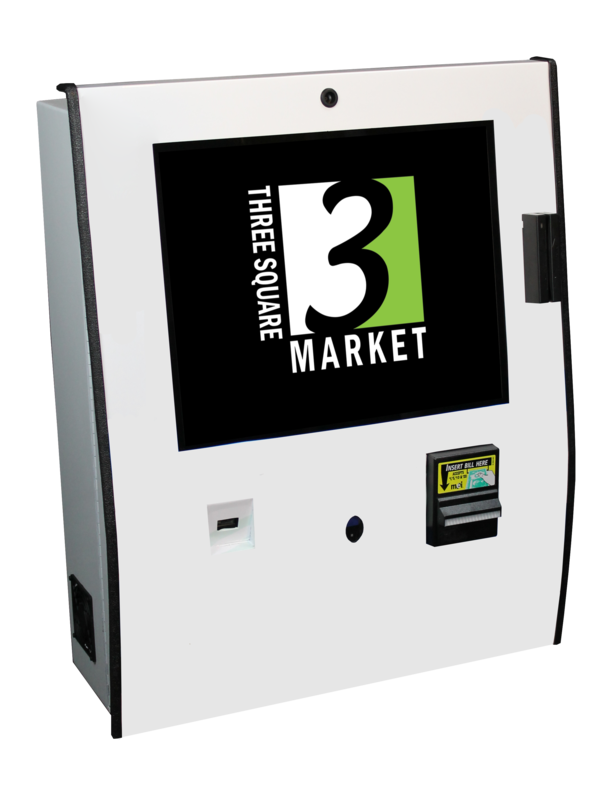 The Market Kiosk is the standard kiosk for all locations. Built for Cash, Credit or Market Account transactions. Also available in Cash In/Out version. The Senior Executive and Executive kiosk is the latest in Break Room Market Technology. Boasting an option for an additional 22″ promotional screen and standard 19″ touchscreen the Executive kiosk comes standard with Cash In, Credit Card Swipe, Bar Code Reader, In-Kiosk Web Camera and Biometric Fingerprint Technology. Choose a Custom Color, Add Custom Decals or a Full Wrap to create a kiosk that completely integrates with the design of your current or future break room! Posted on October 2, 2015 October 1, 2015 Categories Sales & PromotionsTags #32M, #BreakRoomRehab, #options, 32Market.com, kioskLeave a comment on Can You Tell Them Apart?